I have got the same problem of the previous user. I am trying to add the tin ore from Galacticraft mod to the Scenter config file, but it seems not to work correctly. but I only get minecraft:air as a target when i play. But I found a small bug. When I add lava to list: lava FF0000, it appears "air" with gray text. But smell the right "ore", lava. Why air, and why gray? Please look out this bug. This bug has been there unnoticed for a while. This is now fixed in Scenter 3.11.1. I seriously don't know how to add the ores from thermal foundation. I'm trying to add the copper for like 2 days straight but no luck. I'm trying to put it on the FTB Revelation modpack, but the fmal log latest doesn't recognize any other blocks other than the default blocks. 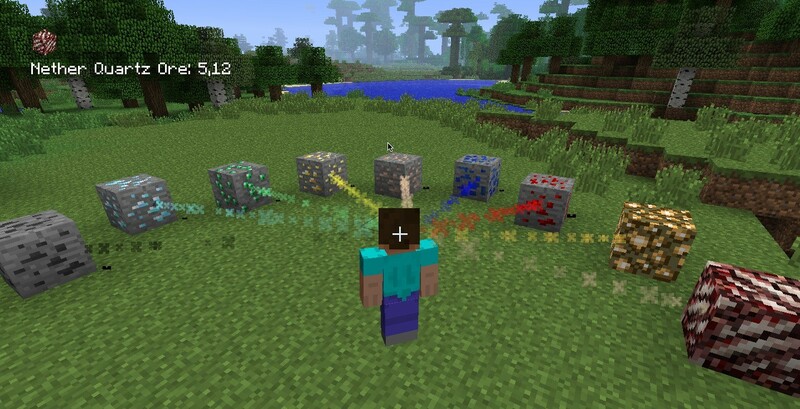 I can't seem to configure it to scent ores from other mods. Can anyone help me with this? I've spent the last hour or so trying to get Scenter to recognize the ores from Industrialcraft 2 to no avail. Is there a trick to that particular mod? For example, Copper Ore. The blockID appears to be IC2:blockOreCopper or 4335:1, but no matter what combo I try I can't get it to show up in Scenter. So there's not really anything else I can think of that might work. They all just show up as a grayed-out Air block in the list. I'm playing on Forge 1.10.2 with scenter-1.10.2-3.8.1 and industrialcraft-2-2.6.252-ex110. Edit: So, here's what I think is happening. Both Industrialcraft 2 and Railcraft are only adding these ores to the Ore Dictionary, they aren't registering them as blocks. Scenter only calls from the list of registered blocks, so it cannot see these at all. When I look in the log, these ores don't show up on the list of registered blocks. OP, got a fix for this? When the game first starts open "Options" then "Controls" and finally near the bottom of controls you'll find "Scenter Mod". In there you can change the 3 controls that make Scenter work. Any chance this is getting an update for 1.13.2 ?